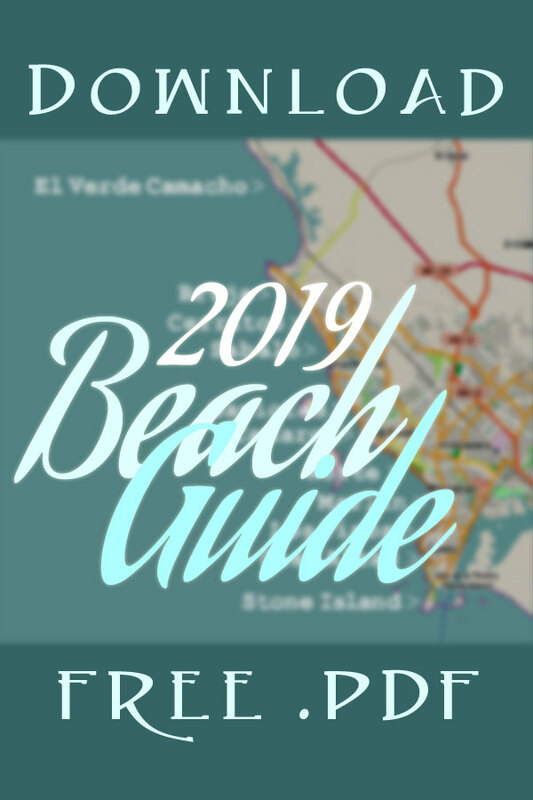 sightseeing, theater, cultural festival events calendar, a guide to the Centro Historico, beaches, golf, fishing, hotels, rural Sinaloa tours, real estate, doctors, dentists and medical tourism in Mazatlan, Mexico! Looking for the best vacation sightseeing; reviews of recommended restaurants; top rated bars, resorts and hotels? 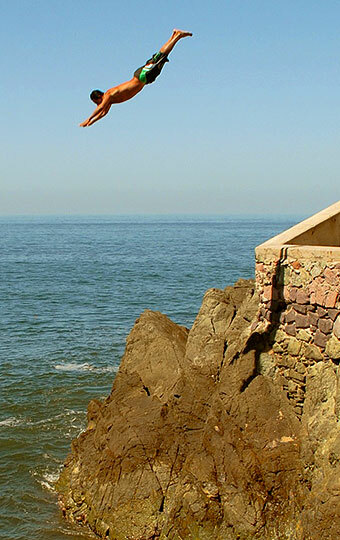 Maybe you're going on vacation and want to know more about popular Mazatlan day trips and tours? 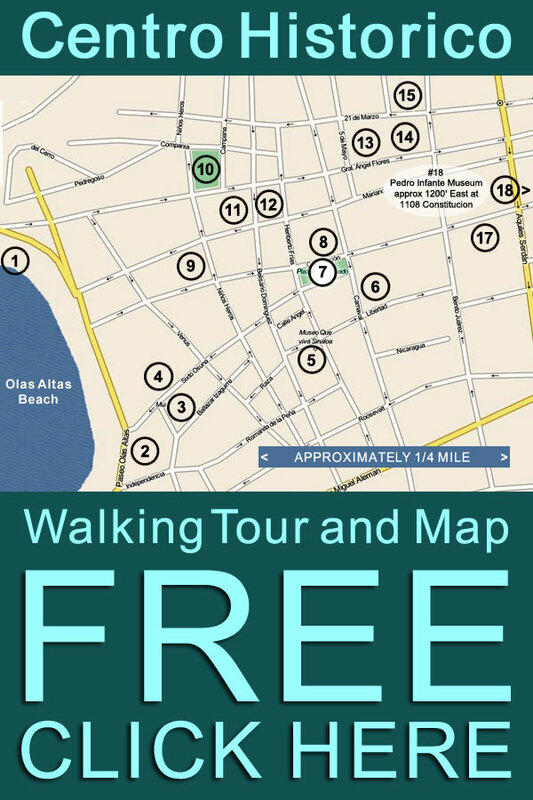 How about downloading some free maps, like our Centro Historico Walking Tour? Or maybe you just want to know when, where, and what it costs to party at one of Mazatlan's many cultural events, festivals and performances -- Carnival; Semana Santa; Moto Week; the Day Of The Dead; Mazatlan Venados games or any of the countless performances at the Angela Peralta Theater and other theater venues within the city. 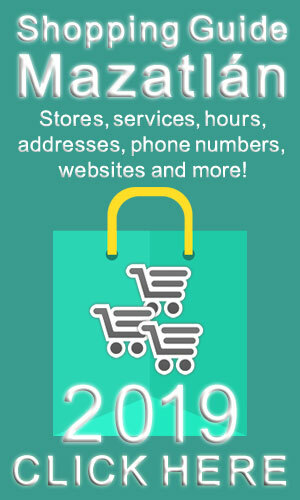 Whether shopping for entertainment or groceries, let us provide you with the most complete and inclusive free Mazatlan tourist information available online. The foundation of Mazatlan's popularity with both Mexican vacationers and international tourists for nearly 80 years is the blessing of geography. 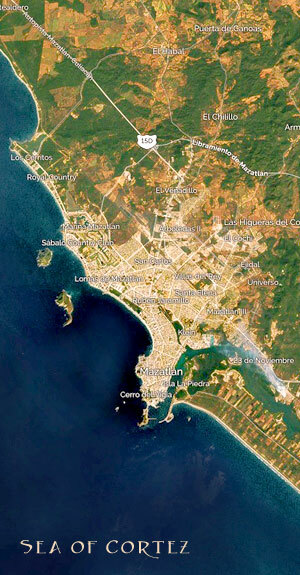 Our city is located on the Pacific Ocean at the lush western edge of the Sierra Madre mountains. Its latitude -- virtually identical to that of Kauai Island in Hawaii -- marks the start of the Mexican Tropics. Latitude 23° makes Mazatlan both the perfect year-round seaside Mexico beach destination and the ideal travel portal to day trip explorations of the rustic communities and Pueblo Magico of Rural Sinaloa, south along Mexico's lush Pacific coast, and inland to Durango. 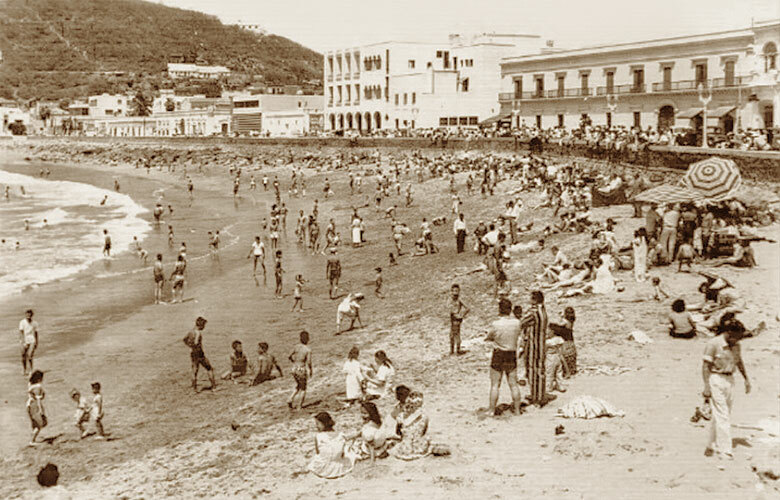 Since the 1940s Mazatlan has been a top rated vacation and retirement destination for countless Canadians, Americans, Europeans and Mexicans who have found in its sophisticated yet laid back atmosphere why Maz is called The Pearl of The Pacific. Travel to our city engages all of the senses: the beautiful sights and sightseeing; evertype of beach and ocean activity from deep sea fishing to paragliding; great club and bar music; free street concerts and dance performances; some of the best theater in Mexico and, of course, the exquisite flavors of our cuisine -- particularly our seafood, which is unsurpassed anywhere in Mexico. 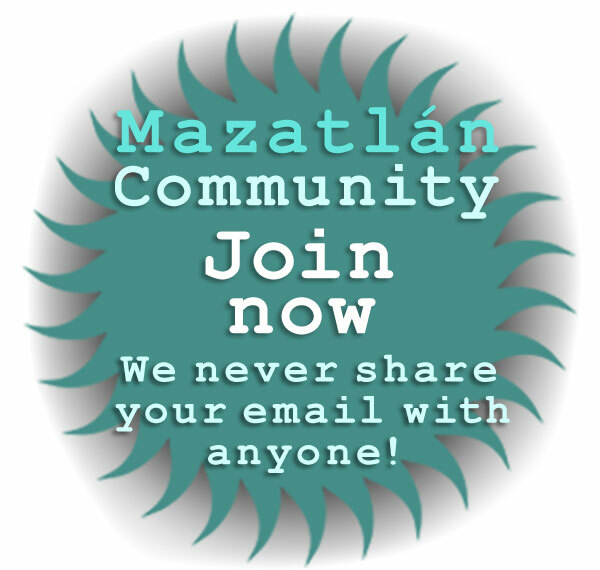 Mazatlan has always been about play, and modern Mazatlan delivers play in all its forms! From zip lines in the Sierra Madre Mountains and banana boat rides on the Sea of Cortez to mountain biking and eco-excurions in Rural Sinaloa, Mazatlan is the best play destination in Mexico! And when the play is done? Soft sea breezes, the smell of the ocean and tranquility. Mazatlan is a historic Mexican city with a magnificent post-colonial 1800s central district and deep traditions that is directly adjacent to a spectacular Malecon -- miles of wonderful beaches. The best Mazatlan beaches -- and their majestic waves -- draw visitors from around the world. But Mazatlan is far more than just pretty beaches, and international tourists long-ago let their experienced travel instincts guide them to the unique combination of beach vacation entertainment and cultural activities that Mazatlan offers. The Centro Historico has been reborn, and Mazatlecos, tourists and seasonal visitors daily reap the fruits of the infusion of new ideas and international sophistication. 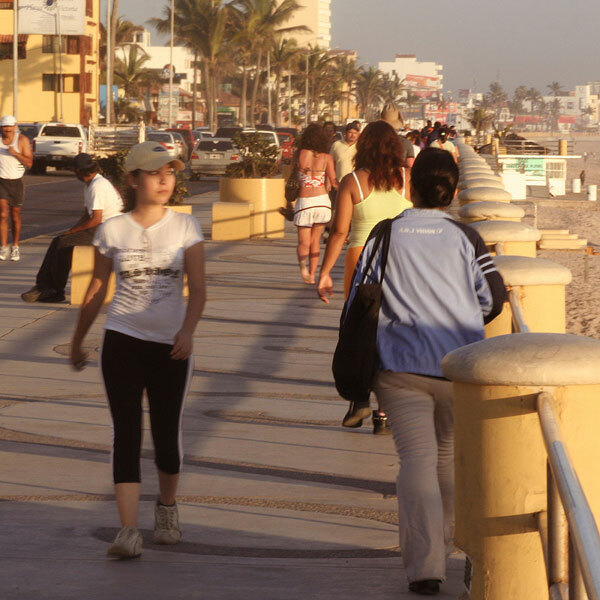 Both international and Mexican travelers visit annually to play on the beaches of Nuevo Mazatlan and Golden Zone hotels -- knowing that just minutes distant in the Centro Historico they can enjoy multi cultural art galleries, delicious gourmet restaurants and modern shops that sell handmade artisan crafts from throughout Sinaloa and other parts of Mexico. 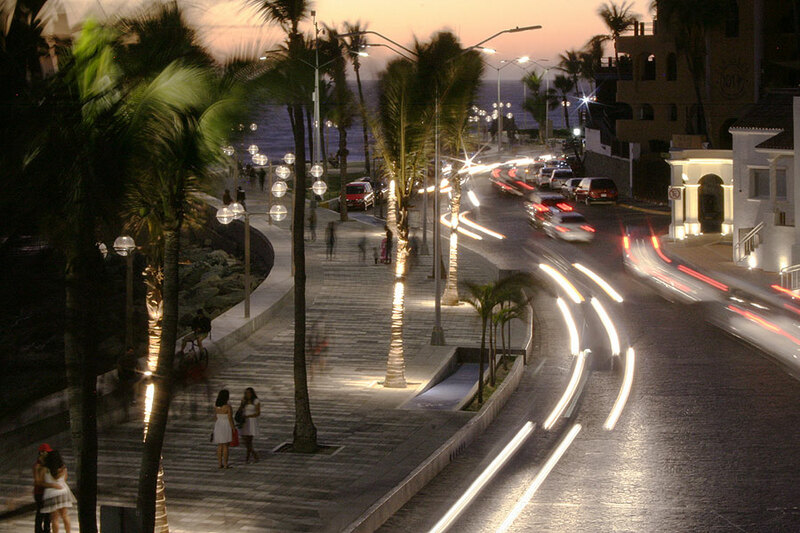 The Centro Historico perfectly encapsulates the Mazatlan Renaissance. Within a fantastic maze of of cobbled streets and hauntingly beautiful post-colonial 1800s buildings that is home to our magnificent Basilica, an ever-increasing number of entrepreneurs and homeowners have restored grand historic structures and have created businesses that reflect this New Mazatlan sensibility. These popular new restaurants, bars, cafés, art galleries and artists studios express the sensibilities of the countries of origin of their owners -- which is often not Mexico -- and that reflect a true international fusion of culture and artistic taste. 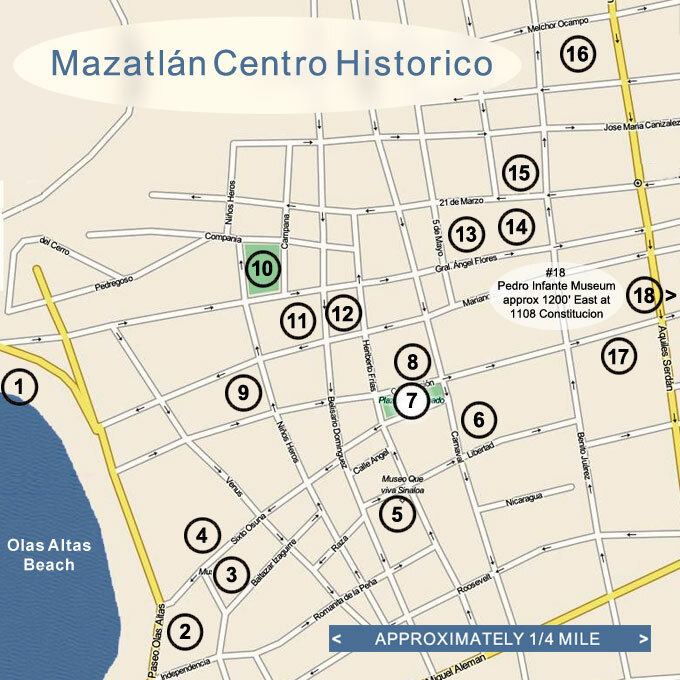 Centro Historico Walking Tour map! The combination of the old and the new; the sacred and the sensual; quintessentially Mexican culture and the contributions from cultures of residents hailing from countries all over the globe has created something truly unique. 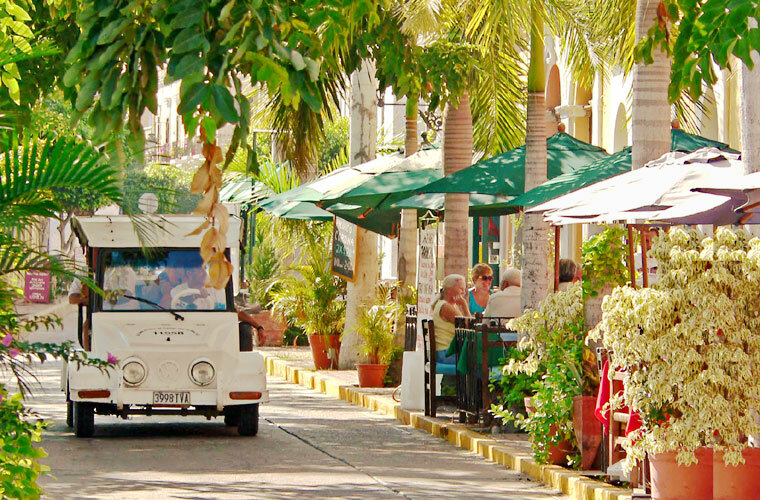 • Take a walking tour of the Centro Historico during the day and visit Mazatlan's delightful museums -- or go shopping in the many new boutique shops and art galleries! 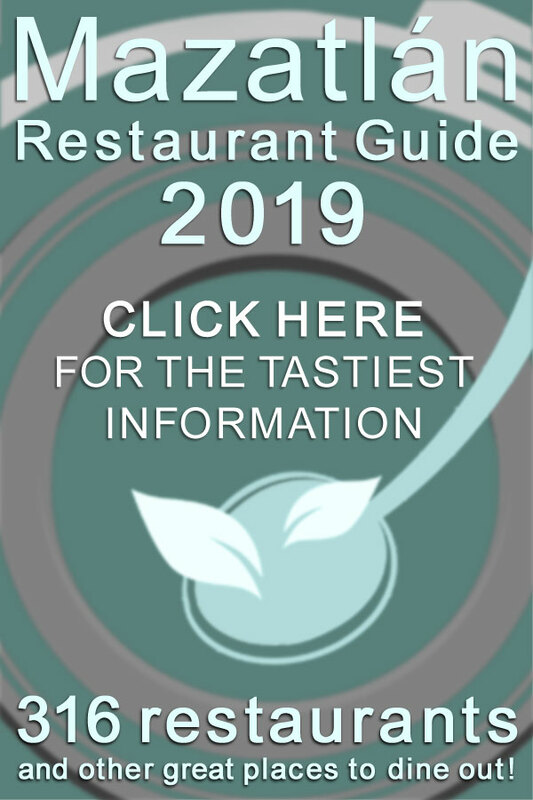 • Enjoy sunset dining at one of the many top rated gourmet restaurants in the Centro Historico -- or take a pulmonia taxi and let him guide you to anywhere you want, and dine on whatever type of food you dream of! • Visit the Plaza Machado in the Centro Historico at night and catch a performance at the gorgeous restored 19th Century Teatro Ángela Peralta. Mazatlan has a vibrant theater scene, and as a result of the efforts of Cultura Mazatlan, every year The Pearl of The Pacific hosts several cultural festivals that showcase theater, dance and music not only from Mexico, but from around the world! Annual Mazatlan cultural festivals and events include the Mazatlan Cultural Festival; the Sinaloa Cultural Festival; Temporada Primavera; Festival Escena Mazatlan and Festival Jose Limon. You don't have to spend a lot of money to have fun in Mazatlan -- many of the most popular attractions that set Mazatlan apart are free! Our beach, the glorious ocean, the changing beauty of our islands as the sun moves across the sky are all free for the taking, as is the golden tropical glow fading into the ocean while the lighthouse beacon of El Faro signals another sensual tropical night. We invite you to travel to Modern Mazatlan and experience a perfect blend of sun, fun, rich cultural heritage and history blended with the best of the new, including world-class art galleries, restaurants, high-line bars, luxury resorts, hotels B&Bs and spas, exciting sportfishing and Rural Sinaloa tours, excursions and adventure. What's near Mazatlán? Pueblos Mágico! Mazatlan is located in the southern part of Sinaloa State, one of the most beautiful and historically interesting states in Mexico. mazatlantoday.net provides you comprehensive and constantly updated travel resources that enable all of the most popular day trips and overnight excursions to Sinaloa towns and pueblos. But before you start planning your Sinaloa adventures, get happy!